Building wealth for retirement is on most everyone’s to-do list. But why rely solely on an IRA to stockpile those dollars when there are better options? 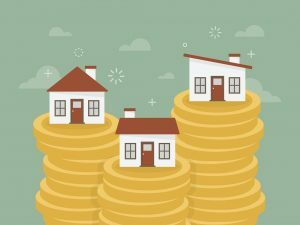 Taking out a non recourse IRA or Solo 401k loan to purchase investment real estate can benefit investors in many ways, not least of which is to stretch existing retirement dollars. The No. 1 use of non recourse loans is for the purchase of real estate as an investment. By leveraging part of the purchase price of a rental property with an IRA or Solo 401kfund, an investor can purchase additional assets that provide immediate income while the assets grow in value. For example, if an investor wanted to purchase a rental property for $100,000, instead of paying all cash and tying up $100,000 in a single asset, that investor could put just 40 percent — $40,000 — down and finance the other 60 percent of the purchase price. The investor then has $60,000 available for either additional property or other investments. To put it another way, the investor has additional cash to put toward building a retirement fund. A non recourse IRA or 401k loan can also help if an investor lacks sufficient funds in their IRA or 401k to purchase the property outright. Taking out a non recourse IRA loan allows an investor to add an income-producing asset such as a home or duplex to his or her portfolio. Another common use of a non recourse loan is to pull equity out of real estate that has already been purchased. Investors who have already purchased investment real estate using only cash often come back to us later for non recourse loans. These investors then use their loans to extract cash from the equity they have in their real estate assets to apply to other investments. Savvy investors also take out non recourse loans to buy real estate because they don’t want to tie up all their money in one property. The funds from these loans are used to purchase more rental properties or invest in other assets, which diversifies investors’ portfolios. The additional assets obtained from a non recourse loan can build wealth over time. So how can the average person use a non recourse loan wisely, and what does a successful loan look like? The incoming rental payments should cover all the operating expenses of the property (such as maintenance and repairs) as well as the debt service and still have some amount of profit remaining each month to grow the retirement plan. The loan funds complement the investor’s existing IRA funds. The loan funds are invested in the property, allowing the IRA funds to go further and resulting in a higher ROI compared to a scenario in which the property is acquired with all cash. 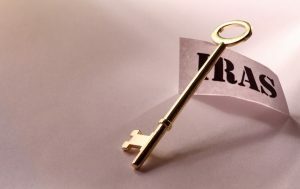 If an investor acquires ownership of several rental properties that are financed while the IRA is producing positive cash flow, those assets and the IRA will be a source of income in later years. The rental income coming into the retirement plan from the properties pays down the loan over time. Meanwhile, the investor also has monthly cash flow from the property or properties for living expenses when the time comes to retire or take distributions from the retirement plan. Ready to Explore a Non Recourse Loan From Your Self Directed IRA Custodian? Successfully using a non recourse IRA loan can help grow your wealth and prepare you for a happy and comfortable retirement. If you want to get more from your retirement plan through a non recourse loan, please visit our website. Our Learning Center offers blogs, webinars, and visuals to help you leverage your IRA with a non recourse loan. For further information, visit our website and email Jeff Fullerton, Nick Conway, or myself, Roger St. Pierre. And sometimes, a phone call is the best way to get the answers you need, so please don’t hesitate to call us. We will be delighted to hear from you.